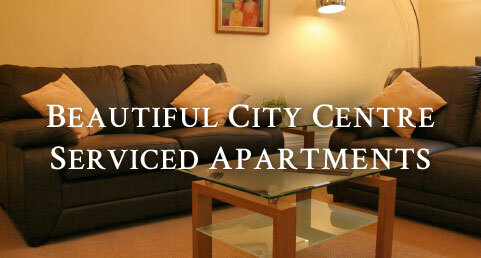 Beautiful City Centre Serviced Apartments from £52 per night. Tarkitecture Properties offers spacious and airy period serviced apartments here in the heart of Preston's Avenham Conservation Area. Situated just 300 metres from Preston's mainline railway station on the peaceful East Cliff Road cul-de-sac lies Ivy House (No21), which overlooks the majestic Avenham and Miller Parks and the River Ribble. Next door is Holly House (No19) accessed from a private, landscaped courtyard and walled Victoria garden. Off-street parking is available for both houses and all Preston's city centre amenities are within 5 minutes walking distance. Ivy and Holly House provide the ideal combination of elegance, comfort and accessibility for the residential visitor to Preston. The four apartments were created by my late parents, Keith and Dorothy Scott, who lived next door at Overleigh House for over 50 years. Our family has decades of experience in providing long term rental and holiday accommodation in Preston, south Lakeland and Utah. In April 2008 we totally refurbished the upper floor of Ivy House and opened the first serviced apartment in Preston. Its highly successful reception from our guests encouraged us to also convert the ground floor into serviced apartments in 2010. Ivy House was built in in the 1850's and was greatly extended thereafter. The extensions were later divided off into a separate house to become 19 East Cliff Road. After comprehensive remodelling in 2012 we are pleased to offer two further bright and modern serviced apartments in what we now call No.19, Holly House.